This chapter focuses on the phenomenology of individuation. While departing from ontological and epistemological remarks, it is argued that a proper phenomenological determination of the individual requires the analysis of the individuation processes. 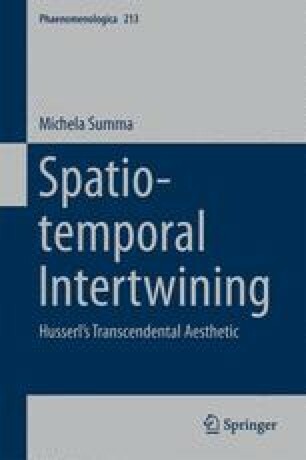 Despite the priority granted to temporality in making individuation possible, it is shown that such a process shall be more adequately considered as grounded on the intertwining of spatiality and temporality. The essential feature of temporality that grounds individuation is irreversibility. It is argued that this feature also impinges upon our experience of spatial individuals. Besides acknowledging how the spatio-temporal intertwining makes the individuation of perceptual things possible, in the final section of the chapter a discussion of how such processes relate to the constitution of subjectivity as individual is developed. These analyses emphasize the connection between the theory of sensibility and the phenomenology of subjective self-constitution; moreover, they shed new light on the fundamental dynamism of lived-experience.